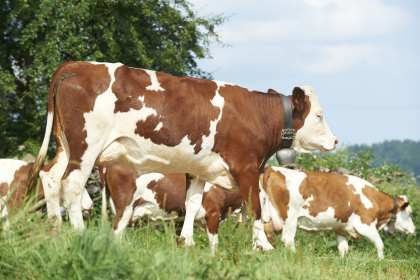 Did you know that, in France, there are over 20 different breeds of dairy cow? The Prim’Holstein, Montbéliarde and Normande form the majority of French stock. However, professionals in search of diversity and quality are also working on maintaining and reintroducing many other dairy cow breeds. Here are a few descriptions. 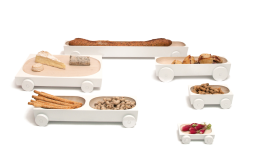 The Abondance is built for the mountains. It has thin legs, but very hard hooves, so it does not hurt its feet when it goes grazing at altitude in rocky patches. It is found for the most part in the Alps. 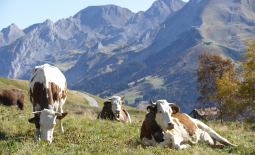 Famous for its role in cheesemaking, this authentic mountain cow produces a milk high in protein that is used to make several cheeses which bear a quality label: Abondance (AOP), naturally, but also Beaufort (AOP), Reblochon (AOP), Tomme and Emmental de Savoie (IGP). 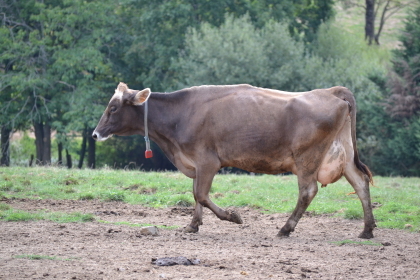 Its nickname, “Brown Swiss”, comes from its Swiss origins. This age-old breed has a pretty silver-grey (or beige) colour. It displays high tolerance to hot mountains in dry regions. This explains why it can also be found in the Pyrenees. High in protein, its milk is characterised by a type of casein that provides a higher cheese yield than that of other cows. In addition, it coagulates more quickly and produces a consistent thick, tough curd. 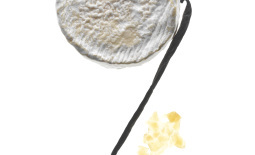 Its milk accounts for almost two-thirds of the milk used to make Epoisses AOP. 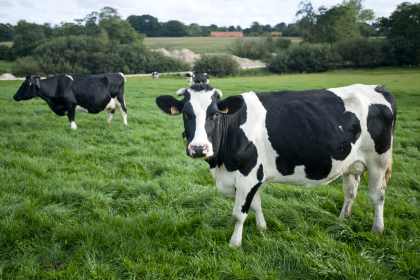 The Jersey cow is the second most common dairy breed in the world in terms of numbers. It is found widespread throughout the world, particularly in Australia and New Zealand. However, it is not as common in France. It is a fawn colour, and is small, but its milk is very creamy. 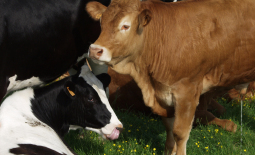 It is well able to live by grazing on land with poor grass such as that of Jersey, its native island. 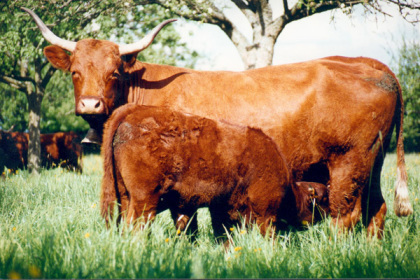 Bred in Franche-Comté and the east of France, it is recognisable by the large chestnut brown/red patches on a white background. It is described as “Red Pied” in colour. The Montbéliarde cow produces over 7,600kg of milk annually that is high in protein and of great quality for cheesemaking. 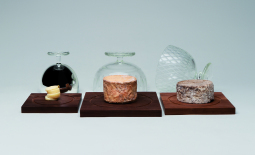 It is used to produce many AOP cheeses, including Morbier, Reblochon, Bleu de Gex, Mont d’Or, Cantal and Abondance. 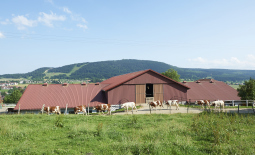 In particular, it is used in the production of one of the major mountain cheeses – Comté. Originally from Normandy, Normande cattle are descendents of the cows that the Vikings brought with them on their longships. It is white in colour, with speckled chestnut-brown patches. It is said to be “spectacled” because coloured patches surround the eye area. 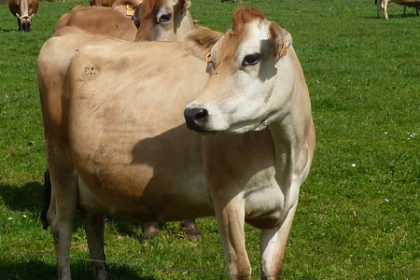 Normande cows produce excellent quality milk which is used to make Camembert and other AOC Normandy cheeses. 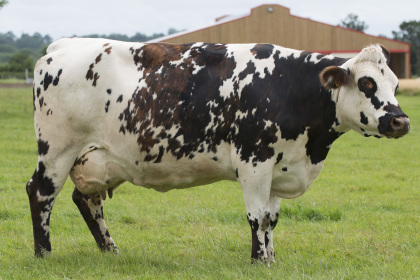 Previously known as the French Black Pied Friesian, this breed was crossed with Holstein bulls, giving it its current name. 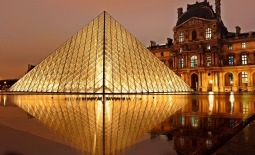 It is found throughout France. It is large and bony, and is recognisable by its large black patches on a white background. It can also be black with white feet. It is a high-producer in terms of milk. 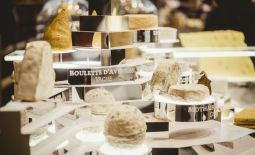 Making up around 80% of the French milk collections, it is the leading French dairy breed, and its milk is used to make many dairy products. 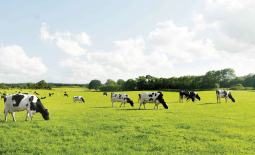 While some cows produce up to 10,000 litres per year, the average is around 8,500 litres. One of the highest-producers of milk in France, it is found primarily in the Nord-Pas-de-Calais region, but can alsobe found on several farms in the Somme, the Ardennes and Normandy. 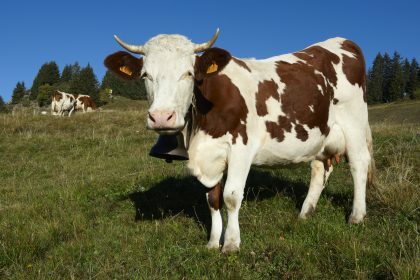 This cow, with its deep and even mahogany-brown coat, produces an abundance of milk that is high in protein, making it ideal for cheese production. 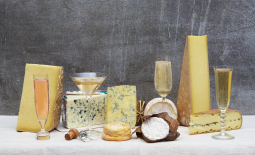 Its milk is used in the production of many regional cheese specialties such as Bergues, Maroilles (AOP), Mimolette, and Mont des Cats. Its hair is coarse and long. This cow is considered an impressive nurse, as it can feed two calves at the same time. It is from the Cantal region. 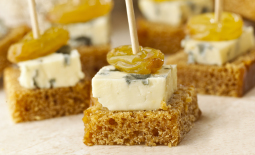 Although its production is lower than that of specialist cow breeds, its milk contains high fat levels and is highly concentrated in protein, so it is particularly suited to cheese processing. 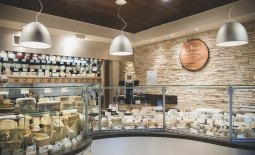 The famous AOP d’Auvergne cheese, Salers, is made from Salers cow’s milk on farms between the 15th April and 15th November, a period when the cows feed on grass only. 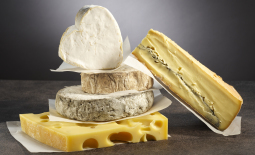 There is also a raw milk Cantal made from 100% Salers milk. Previously known as the Eastern Red Pied, it was once seen grazing in meadows in Alsace, Franche-Comté, Burgundy and Rhône-Alpes. 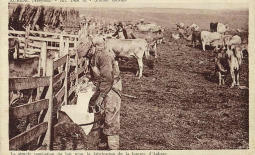 But nowadays, the Aveyron (Massif Central) is the leading département for the breed. 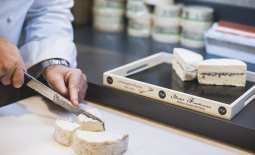 Thanks to its abilities and remarkable dairy performances, it was selected along with the Aubrac in the specifications of the Laguiole AOP cheese. 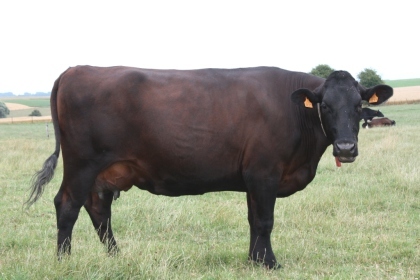 Generally, the French Simmental is highly sought-after in areas of cheese production. 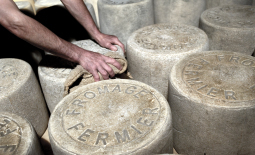 It is also used to make AOP cheeses - Comté, Mont D'or, Morbier and Bleu de Gex in Franche-Comté. Cows are herbivores. They feed on fresh grass or hay or corn (a plant fully cut up and stored as silage), beetroot (grown in the summer months and stored for wintertime), cereals (what, barley, oats), meal (what remains of the oilseed when the oil is extracted). 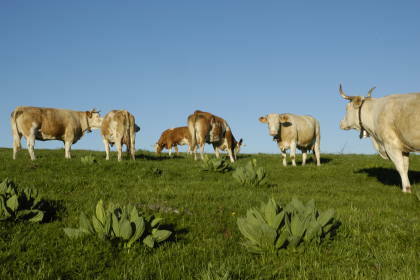 In France, 98% of fodder is produced on the farm, 50% of which is grass for grazing.